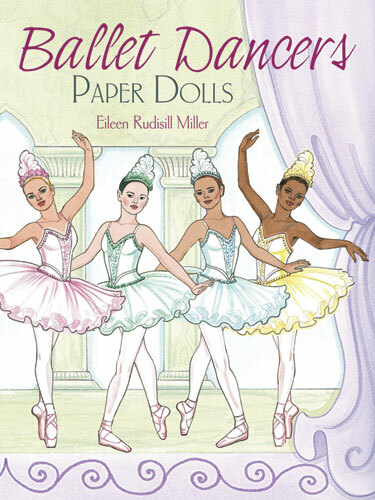 2 reversible punch-out dolls provide young dancers with four ballerinas of diverse backgrounds. A fabulous wardrobe of 32 glamorous outfits features eight costumes for each dancer. Remove the dolls, cut out their costumes and open up the inside cover — you'll find a charming stage backdrop for their performances!